I’ve been thinking about Beth, you, and the rest of your family so much. Went on to check how things were going, and right then you posted the update with the photo of the stem cells. I’m so very happy they’re finally here! Prayers for all of you. Thanks Julie. 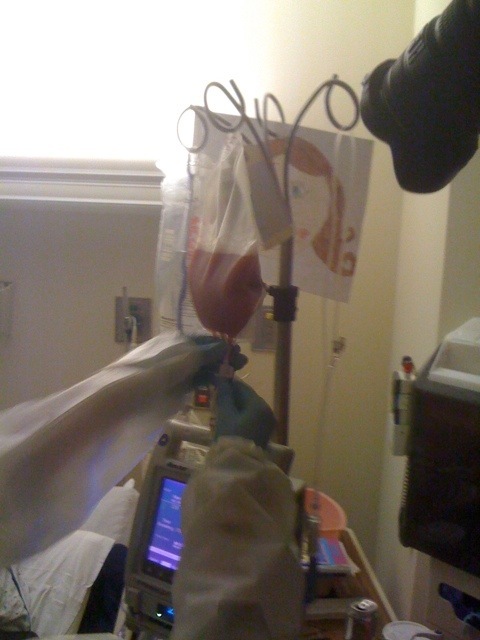 This has been an amazing thing to watch, as the chemo unfolded, through the radiation treatments, and now as this “bag of life” (as Beth called it) dripped into her body and started everything (we hope) new for her.